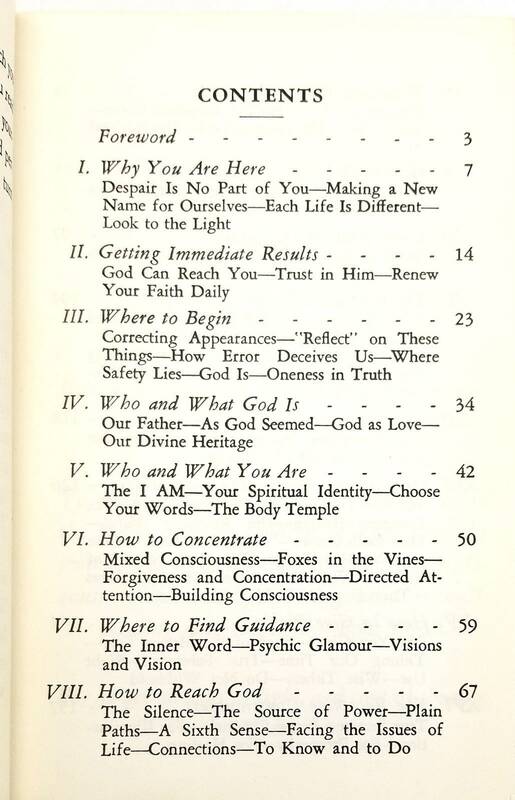 Description: Book from the library of the Unity Center in Portland, Oregon. 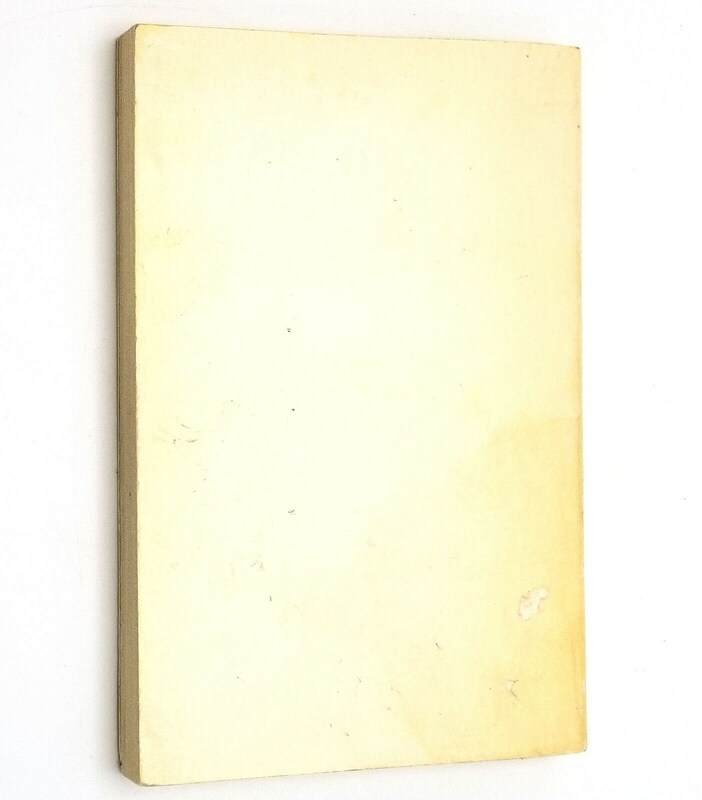 Book has small blemishes to lower front & rear surfaces near spine where a call number label looks to have been. Crease/bump to lower front fore edge corner. Some light staining and age toning to wraps. Two names have been covered over with labels on the inside of the front cover & ffep. A little glue residue on ffep. Stamp from Unity Center on inside of rear cover. 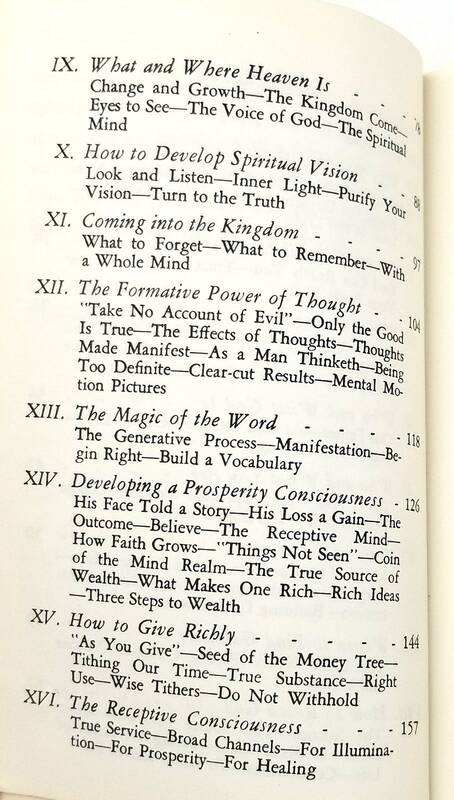 Underlining on pages 112,116, and 119-121. All other pages are free of marks and binding is sound. 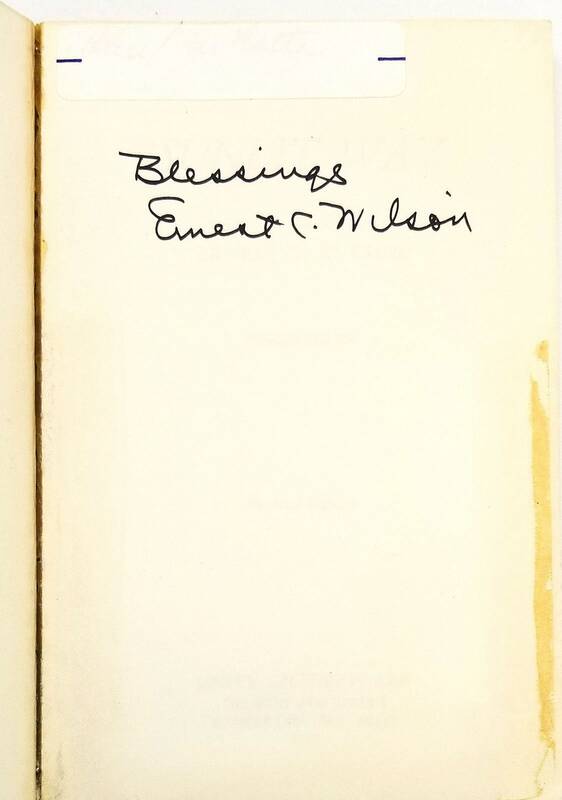 Generic inscription and signed by author on ffep. 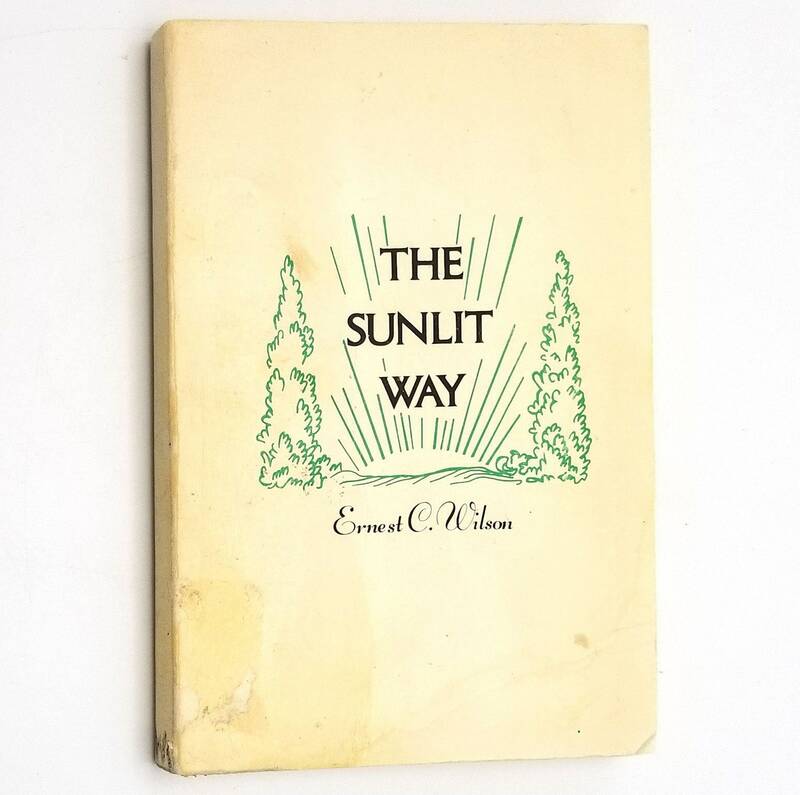 Eleventh printing, 1973. 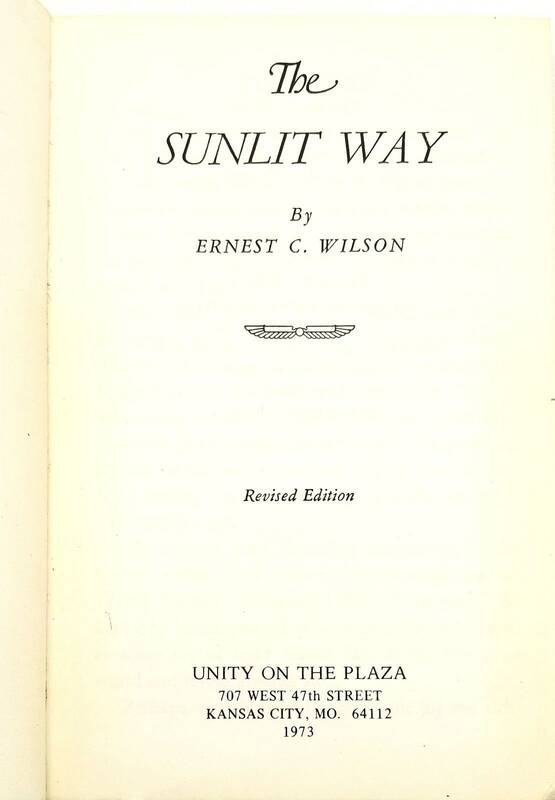 Ernest C. Wilson (1916-1982) was appointed a minister of the Unity Church by its founders, Charles and Myrtle Fillmore, and at his death was considered to be the "dean of Unity ministers."